Features ultrasonic induction procedures to lose up to 5cm and 400g in just one session! Begins with the use of a Waist Tummy Trimming Gel followed by a massage with a Body Firmer! A trial session that’s tailor-made to your individual needs! Includes a detailed body composition analysis for free! Be taken care of by team of highly-qualified professionals from VLCC, one of the Gulf’s leading wellness brands! Results may vary from person to person in this trial session and for optimum results, VLCC recommends purchasing at least five sessions from their full program! 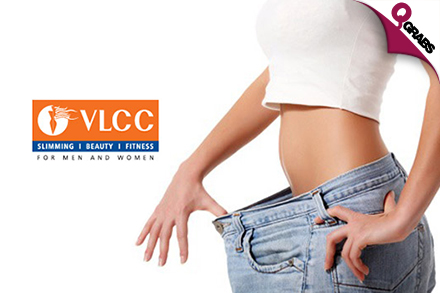 With just one session, VLCC says you’ll lose 5cm and 400g. One session! And it’ll start you on the track to more slimming if you continue… which you’ll have to once you see the results! 77% off, smaller tummy & slimmer waist… woo hoo!